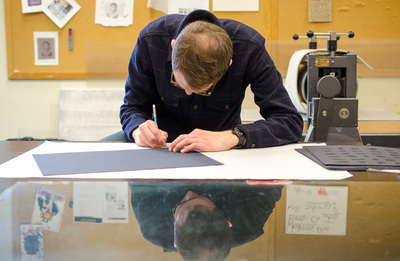 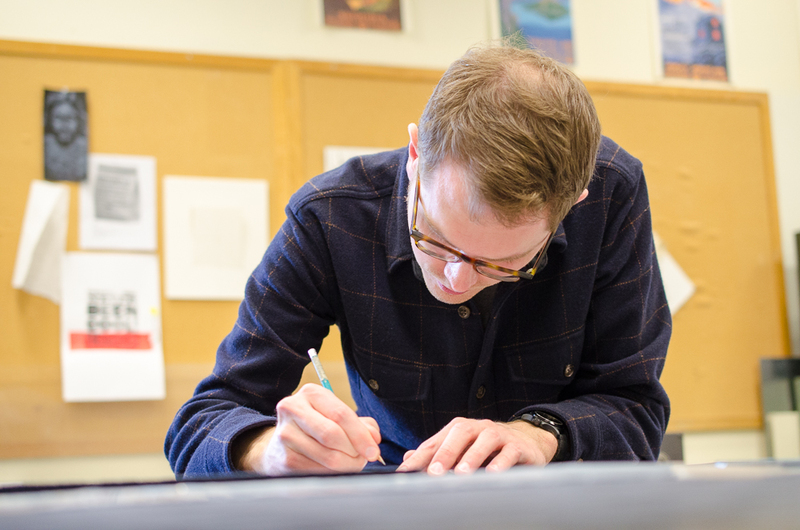 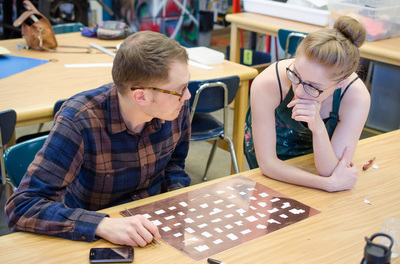 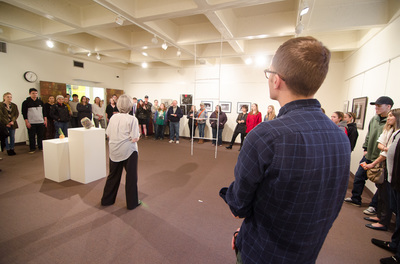 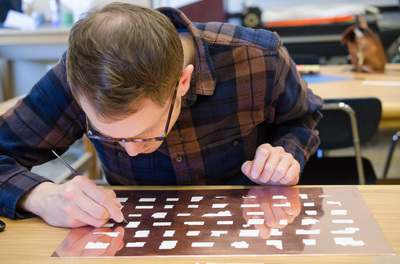 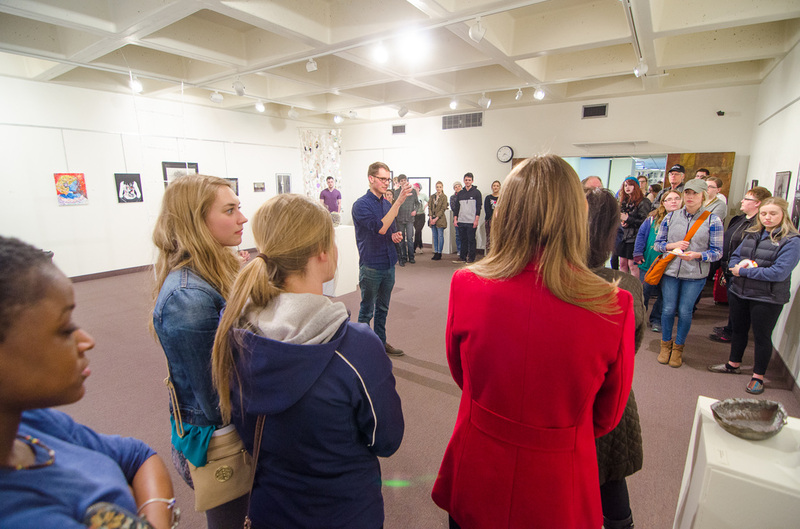 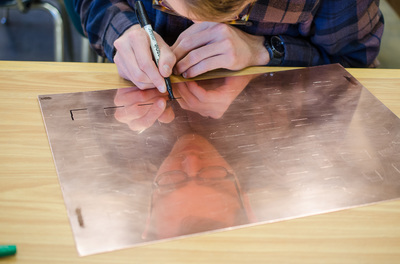 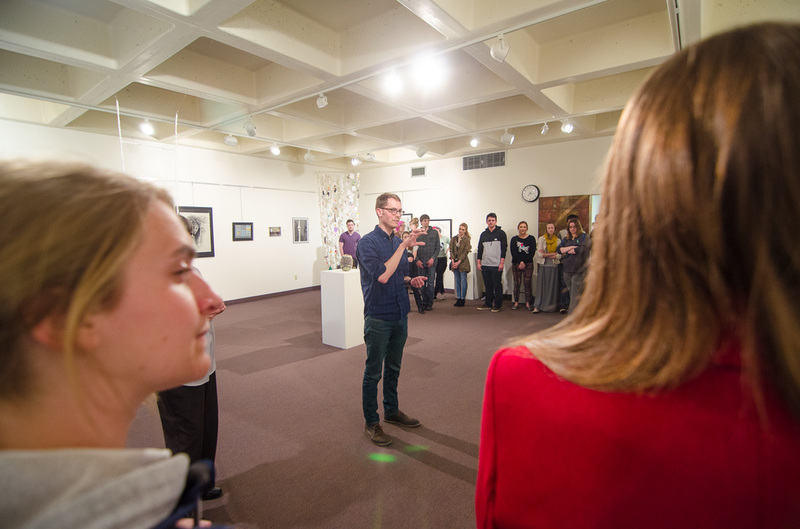 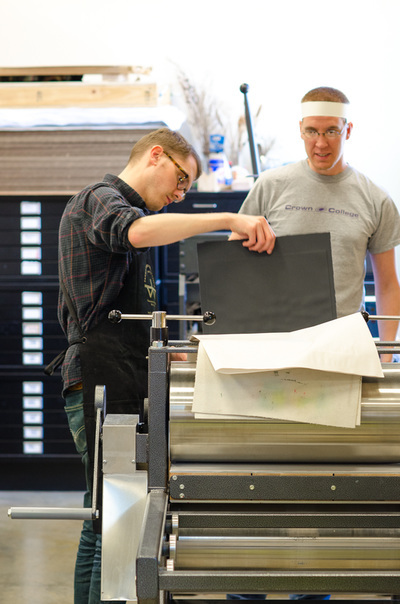 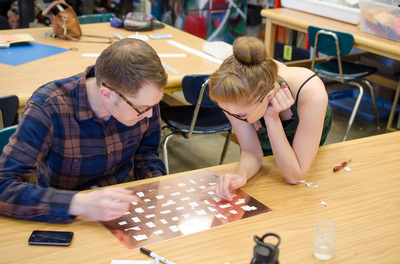 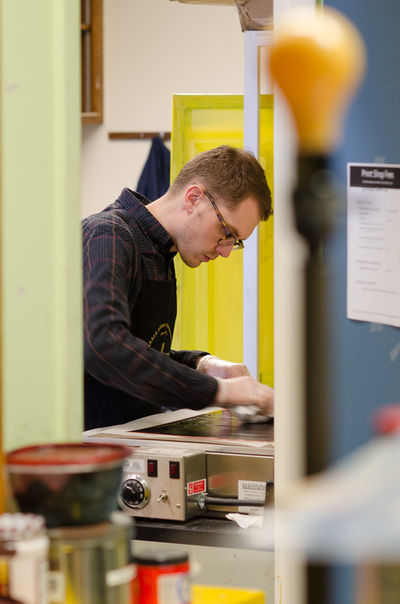 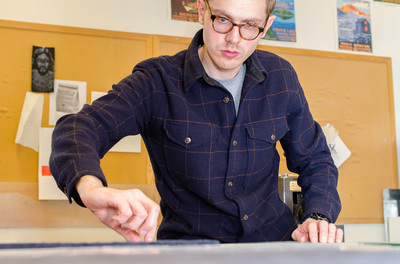 In April 2016, Justin Sorensen visited Minot State’s art department to jury the annual Student Art Show. 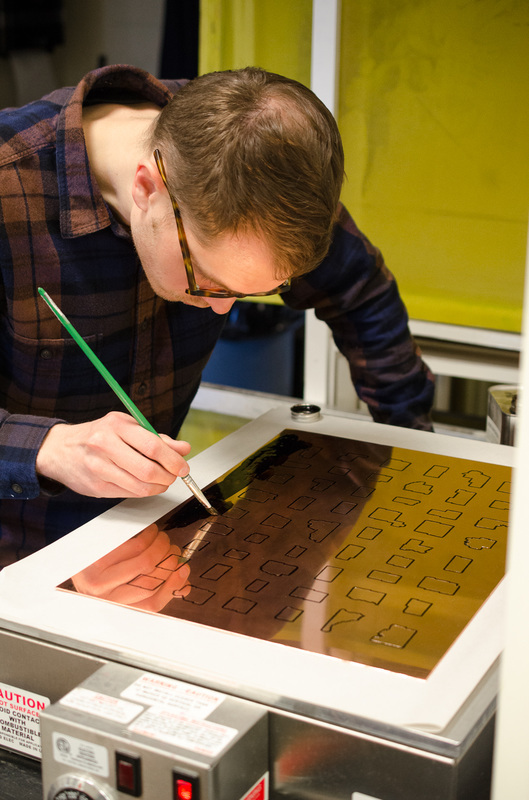 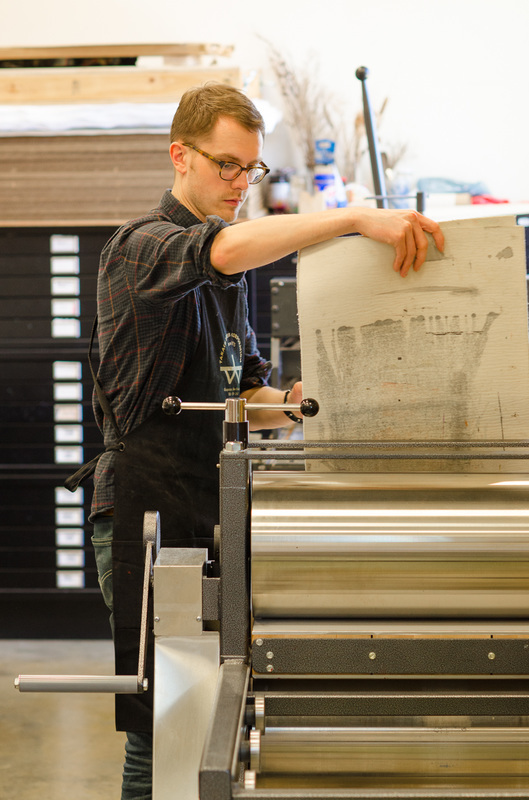 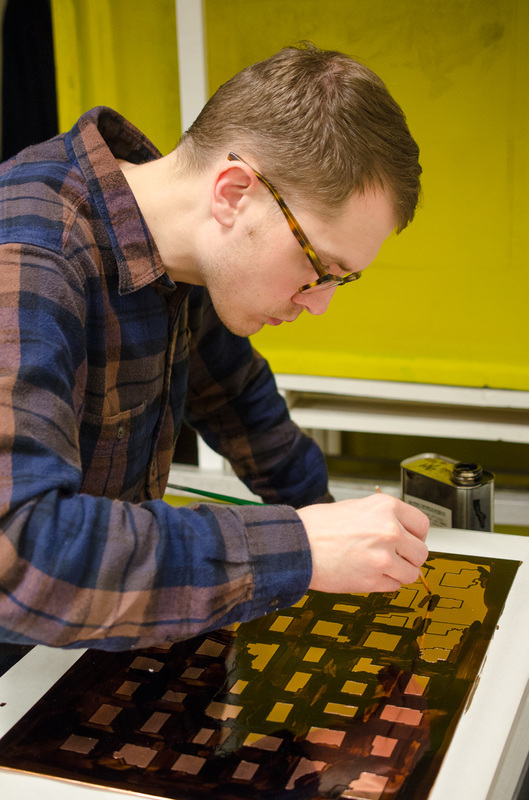 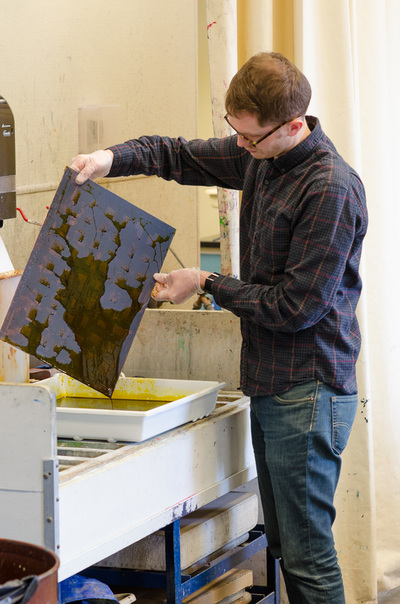 During his stay he also made an intaglio print with Flat Tail Press. Here are a few of his thoughts regarding the print. 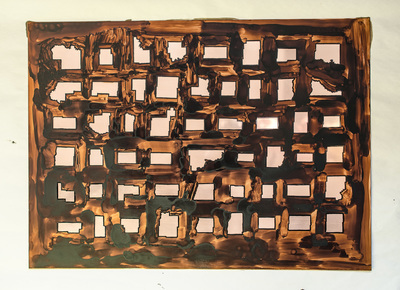 Lately, maps have been surfacing in my studio - the total perspective they provide fascinates me. 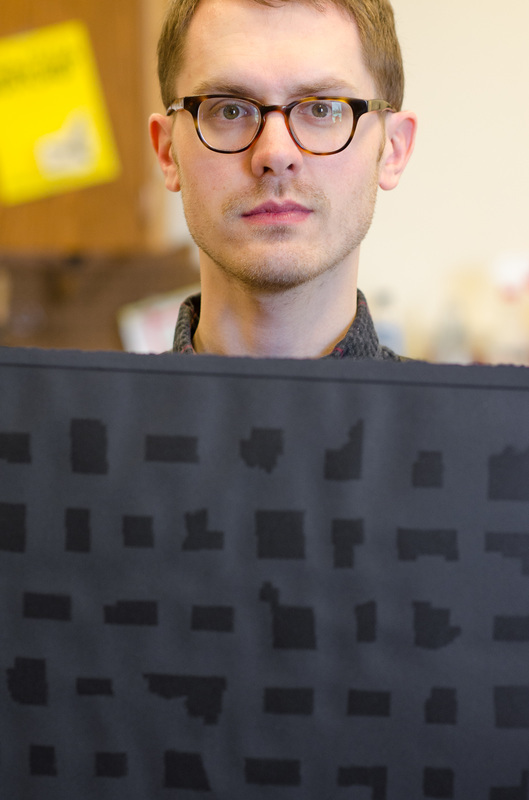 My interest is in exploring the structure of that perspective. This piece consisted of me taking a map of North Dakota and breaking it down into 53 shapes, each of which corresponded to a different county. 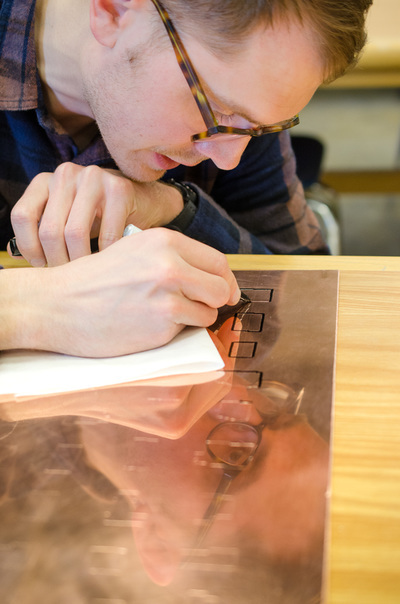 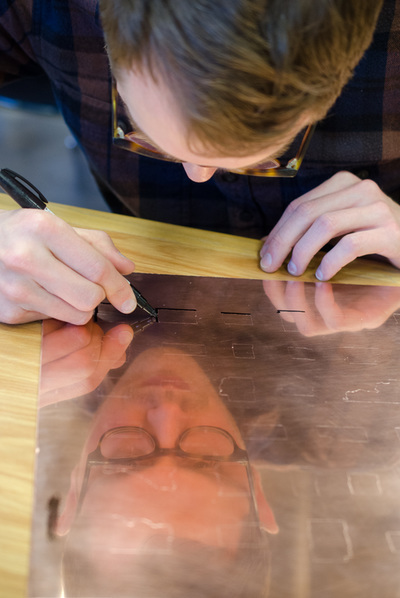 I then rearranged the shapes onto a copper plate. 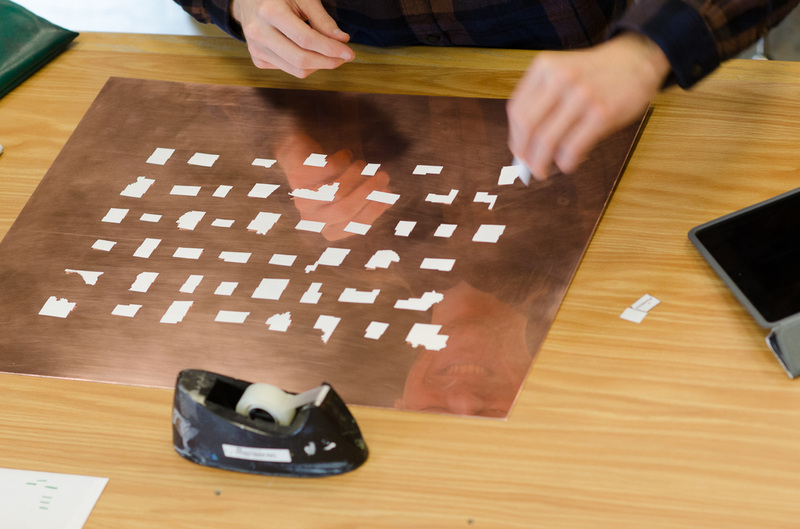 While a fragmented map may cause a greater feeling of displacement, the purpose is to establish a space that allows one to contemplate each of the components that make up the whole. The idea is that a broken perspective, if properly and patiently sustained, could actually bring clarity to one’s vision. 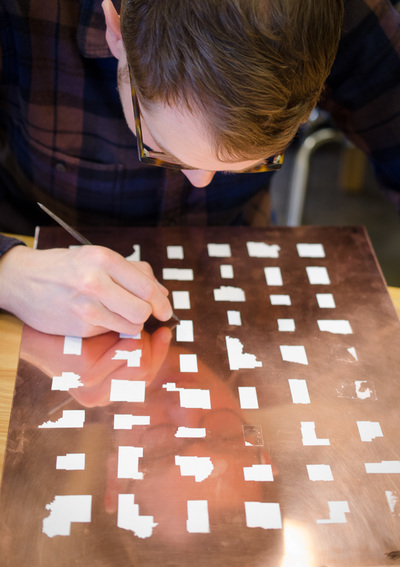 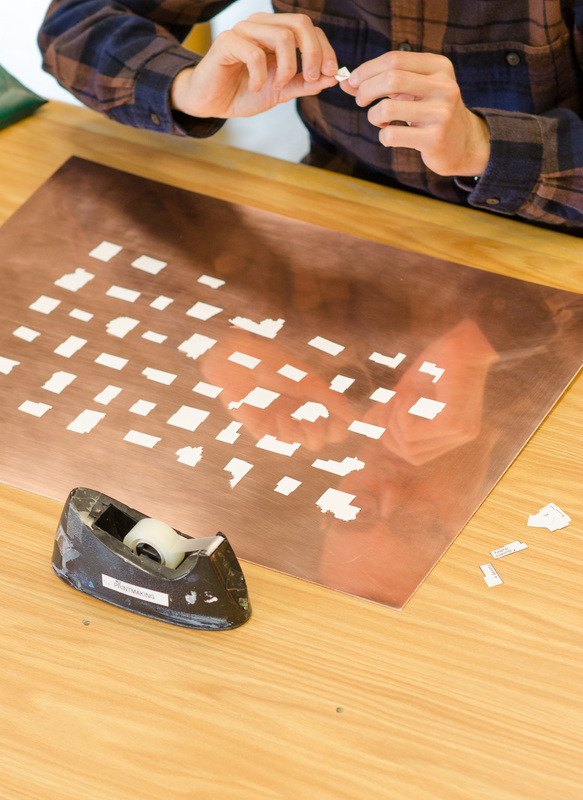 A map of North Dakota is broken down into 53 shapes – each corresponding to a different county – that are then rearranged on a copper plate.